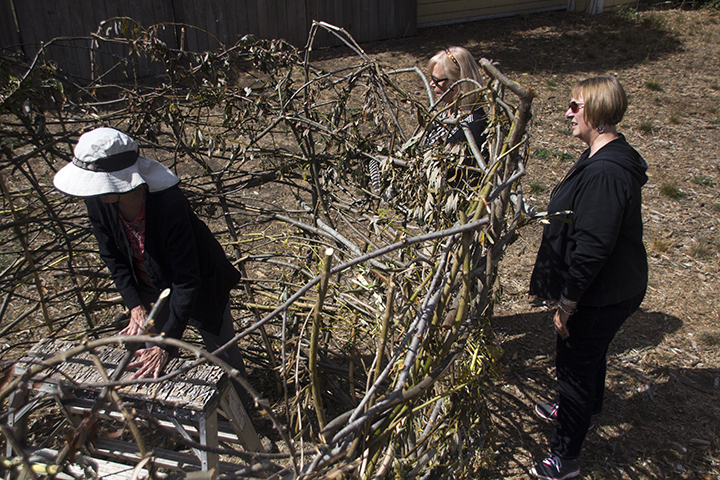 Early construction of the large nest was made possible by putting long branches of willow and olive trees into the ground to form a circle at the Point Reyes Station Commons. 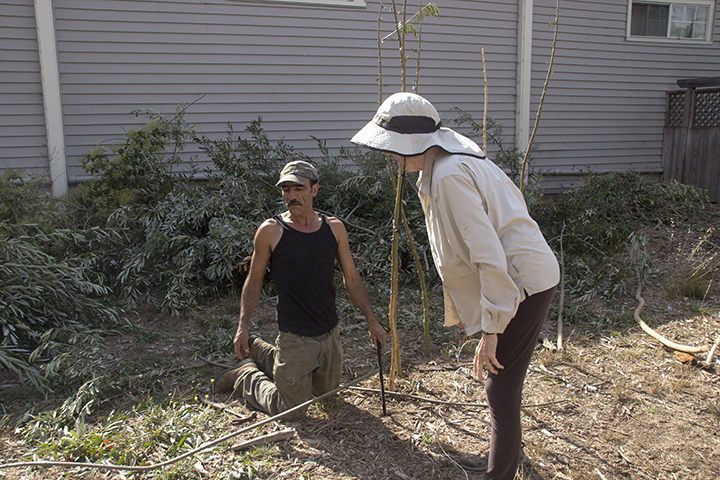 Significant help came from Ramon who lives in the area. 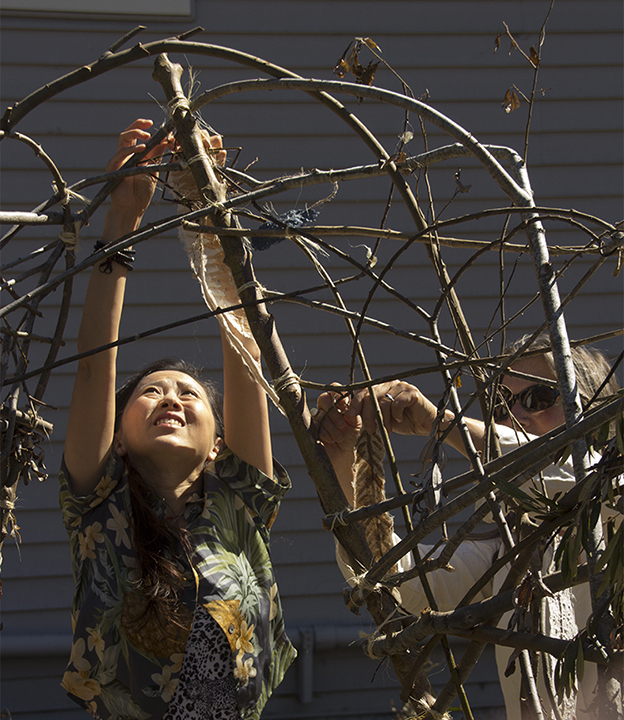 Many community volunteers helped build the large nest by weaving flexible branches into the upright branches. Here Jane, Mary and Betty help with construction. 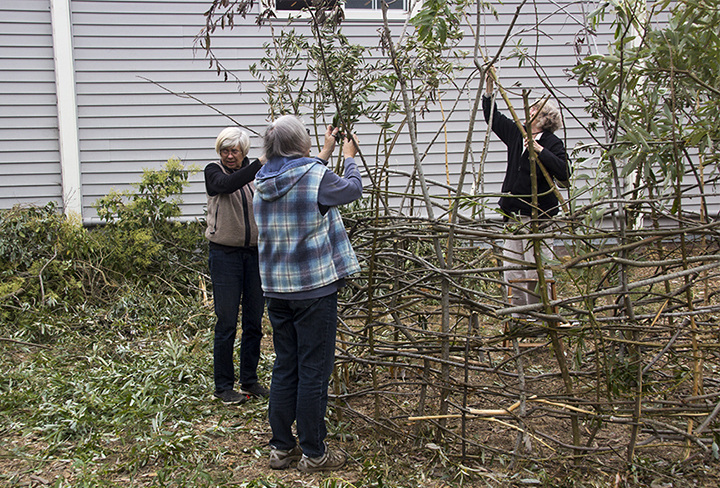 Two excellent volunteers, Sue and Lynn are helping Jane with the construction of the large nest. They also helped with the programs at the West Marin School. 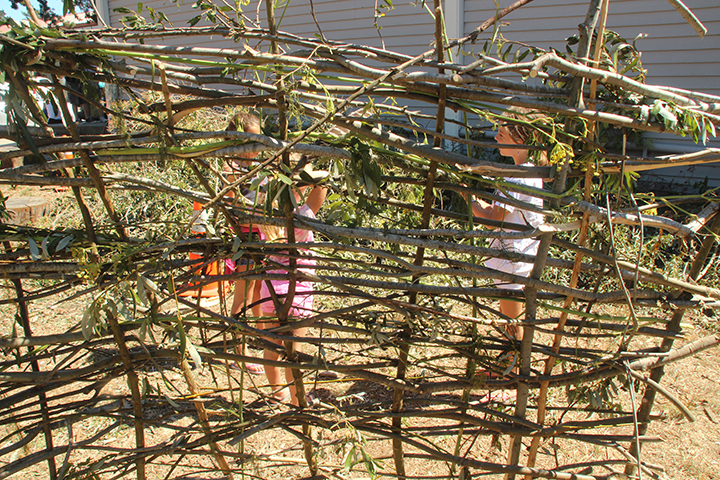 Some young helpers worked from the inside of the large nest putting up feathers. 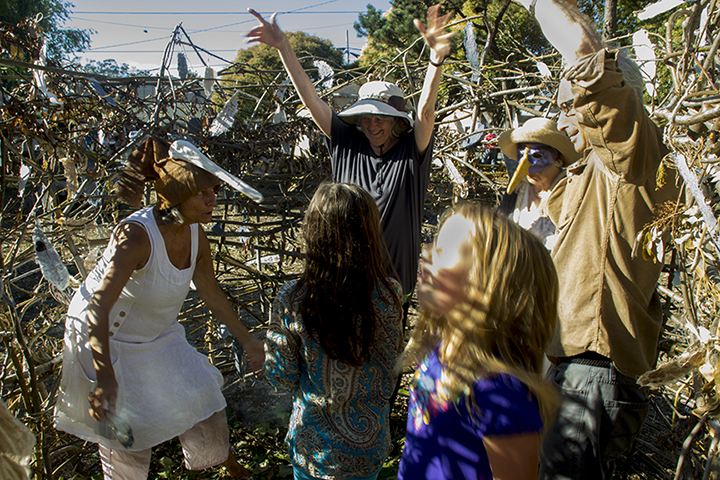 Once the construction on the large nest was completed, people began hanging handmade paper feathers onto the large nest. The feathers had bird seed imbedded into the feathers. The hope is that as the feathers naturally deteriorate the birds will eat the fallen seeds. Feathers hung from the large nest would turn and blow in the wind. 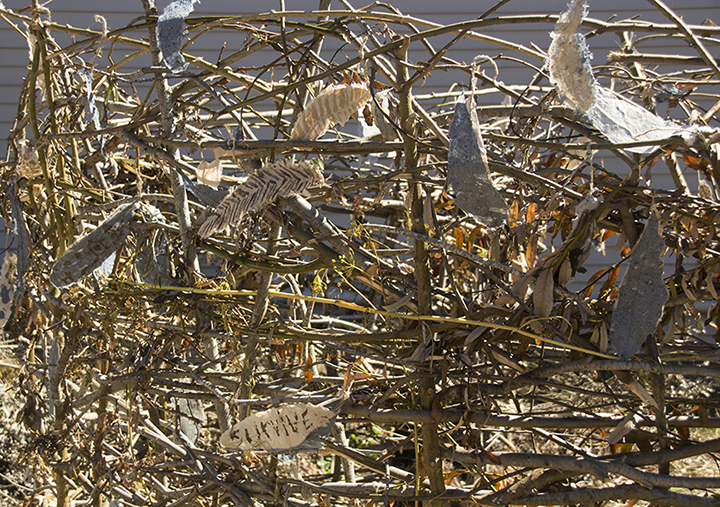 When the large nest was completed and most of the handmade paper feathers had been hung, a performance was done to dedicate this public art project. The performance was done by Diana Marto and another local artist.